The Amsterdam-based Access to Seeds Foundation has placed two African seed companies at the top of this year's Access to Seeds Index for eastern and southern Africa, for playing a key role in raising smallholder farmer productivity. 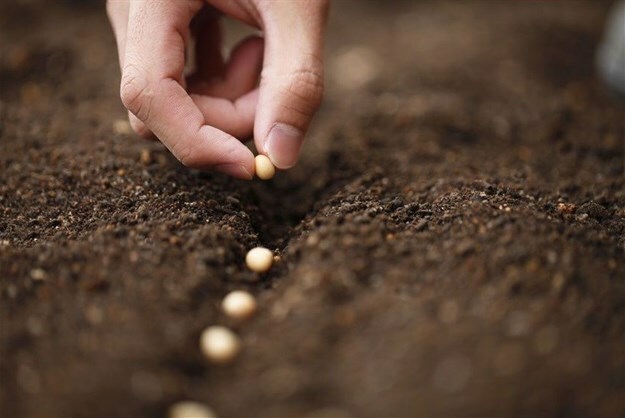 The Access to Seeds Index 2019 is one of the first Sustainable Development Goals (SDGs) benchmarks published by the World Benchmarking Alliance. The alliance was launched in September last year during the UN General Assembly in New York. Kenyan company East African Seed and Seed Co., placed first and second respectively, have both grown their activities in the region since the first index was published in 2016. East African Seed stands out for its broad portfolio including local crops and large network of extension staff across multiple countries. Seed Co. originally from Zimbabwe but now headquartered in South Africa, is the African seed company with the most extensive breeding, production and sales network, and the widest geographic reach in agronomic training. The Access to Seeds Index 2019 – Eastern and Southern Africa – evaluates the actions of 22 leading seed companies in eastern and southern Africa. The top five list is completed by Thailand’s East-West Seed, US-based Corteva Agriscience (DowDuPont) and Swiss-based Syngenta. Ugandan companies Victoria Seeds, NASECO, Equator Seeds and FICA Seeds also made it into the top ten companies – showcasing smallholder farmer-focused operations in their home countries and beyond. "Two African seed companies at the top of the ranking is no surprise, given their deeper understanding of the region and of the challenges smallholder farmers face. But Thailand’s East-West Seed in third place is eye-catching too, because it suggests they are transferring their know-how and experience with smallholders in Asia to Africa," said Sanne Helderman, senior research leader at the Access to Seeds Index. "It shows also that these relatively small seed companies are ahead of larger multinational seed companies in integrating smallholder farmers into their business models." The report highlights other key findings from across the region. The 2019 Index shows that companies are present throughout the region, ranging from 13 in Zambia to five and three in Lesotho and Somalia respectively, and are investing significantly in seed value chain activities. There are eight companies with breeding activities in South Africa, with the same number producing seed in Kenya and Tanzania. The index also shows that training of smallholders is lagging far behind company sales activities, with not one of the companies in Angola (eight), Namibia (seven), Madagascar (seven) and South Sudan (six) accompanying sales with extension services. Maize dominates breeding programmes in the region as twice as many companies have active breeding programs for maize as for other important crops, such as dry beans, soya beans and tomatoes. This raises concerns about the ability of smallholder farmers to access a broad range of modern varieties of other important food crops, which would contribute to achieving sustainable food systems and healthy and diverse diets. Furthermore, while three-quarters of the companies have active breeding programmes, for most crops even the youngest variety on offer is more than three years old. This raises a question about the industry’s response to rapidly changing climatic conditions. The number of undernourished people in the world reached an estimated 821 million in 2017. According to the Food and Agricultural Organisation (FAO), the number of undernourished people has been rising in southern Africa recently, and despite reaching its lowest levels in 2010 is also increasing once more in East Africa. Climate variability and extremes have been identified as a major reason for the increase. The seed industry has a vital role to play in helping farmers adapt to climatic challenges while simultaneously raising production levels. "The index reveals that African seed companies are successfully serving smallholder farmers. The industry’s reach is however far too low, as COMESA (Common Market for Eastern and Southern Africa) reports that only 23% of the smallholders in its member countries have access to improved varieties of major field crops, resulting in low productivity and prompting food security challenges in the region," explained Helderman. The Access to Seeds Index for eastern and southern Africa focuses on 22 leading seed companies in this region. This was preceded by a ranking of the industry in South and Southeast Asia and a ranking of Global Seed Companies. An evaluation of the industry in Western and Central Africa is expected in the future.